I watched a cartoon television show as a kid in around 2007-10. In it, characters they found each other. Along the way they found a golden monkey last and there was a forest girl. I think the villain was a samurai. Could this be Master Raindrop from 2008? The series begins with personifications of two of the five elements, Raindrop (water) and Shao Yen (wood), training with their Master, Yun, in the ancient art of Chitaido. However the strongest leader in the Land of a Thousand Legends, General Bu, upsets the peaceful world by taking Yun to begin his attempt to capture the four elements after Flamo, the fire element, joins him voluntarily. General Bu does this to stop the elements joining together and defeating him. 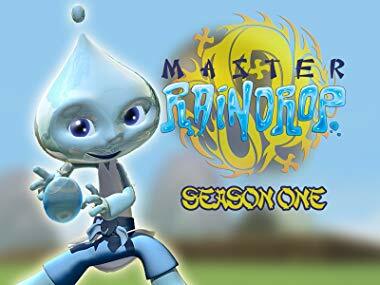 Master Raindrop and Shao Yen are soon joined by the other two elements: Jin Hou, the metal element (an anthropomorphic golden monkey), and Niwa, the earth element (a humanoid girl who appears to be made of clay). Together they attempt to rescue Master Yun and travel to the place where the golden dragon was defeated and restore him to power. It's what came up when I searched for tv cartoon elements "golden monkey" and it matches your details. Not the answer you're looking for? Browse other questions tagged story-identification cartoon or ask your own question. Teenagers who can use a device to turn into monsters?